Jupiter, Saturn and Pluto are all retrograde during the month of May; this could feel like we are all stepping backwards in time, and in a way we all need time to reflect. The planet Mars travels in steady Capricorn until the 16th when it moves into the madcap world of Aquarius, revolution is in the air. On the 15th we have a New Moon at 24 degrees in Taurus “a bed of a dried up river, wherein crows are feeding it is in the degree of ‘decline’. It is in a month when decisions that are major should be approached with inner questions rather than impulsive action. May is usually a period when we celebrate the coming summer season, but this year it could feel as if we have all been given a timely reminder of our past deeds. 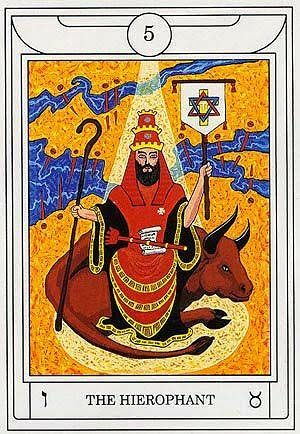 The biggest change from an astrological perspective happens on the 15th when Uranus the great awakener moves into Taurus for the first time in eighty four years, shaking all our foundations collectively. This is a big month for the bulls, first thing is the planet Uranus for the first time in eighty four years enters your own sign on the 15th. This is a major step up of energetic shift that will literally stir the earth from beneath your feet. On the 14th Mercury moves into your own sign which naturally speeds things up in your everyday work life. All in all a month full of new insights and big ideas. The rather flirtatious energy of Venus is transiting through your own sign until the 20th bringing in new social connections that enlarge your optimism and ideas. The planet Uranus moves into your secret 12th solar house igniting your need for spirituality and general retreat now and again from the world. Over the next seven years dreams and meditation are going to become an important practice in your own inner development. The pull of the Moon being your natural ruler is always going to have a direct impact on your energy levels. We have a New Moon on the 15th and a Full Moon on the 29th, the two signs that these take place in are Taurus and Sagittarius. These activate your friendships and your everyday work matters that you will need to navigate through in a none emotional way, yes I really did mean none emotional way. The Sun travels through the work area of your solar chart, this is a powerful time when you realise how much you can influence those around you. The eclipses of 2018 have really had a massive effect on your direction and individuality making you a much more grounded person, now is the time to put your inner work to the test. Passion is the theme for the month as your ruler travels in the secretive and seductive 8th solar house. The Sun is travelling in another earth sign like yourself, Taurus; this helps you to support your spiritual interests which are also ignited by the planet Uranus entering your solar 9th house of higher wisdom on the 16th. There is an airy feeling to May as your ruler is transiting in Gemini until the 20th when it moves into cancer and switching you to a much more emotional reaction to situations at the end of the month. This is also intensified by the placement of Mars that is squaring your Sun, be aware that you might be much more agitated with others while Mars is on your case, it’s worth taking that extra deep breath before you snap back. New perspectives and insights come to light as the sun moves through the relationship area of your chart , however this time it is also joined by Uranus, the rebel in the planetary zodiac. This is a period when you will have to look at those close to you in a different way; it can also indicate some major changes in personal relationships over the next seven years that have a profound effect on your spiritual development. Venus is traveling in your 7th solar house; the art of relating to another is a big priority during the next four weeks. What you crave is a real sense of harmony and devotion with those close to you, your ruler Jupiter is travelling backwards in the zodiac creating a strong connection with the recent past events in your emotional life, time to be generous with those you love. Your ruling planet Saturn is going backwards in the sky causing the energy to be more internal than external. This is a powerful month when the planet Uranus enters another earth sign helping you to too broaden your horizons. Mars is also travelling in your own sign until the 16th, Mars is exalted in Capricorn it adds strength, focus and determination to all you pursue. The big astrological news this month is that your modern ruler Uranus transits into Taurus which is your 4th solar house. The energy starts to shift your core principles and beliefs in particular where you come from and your family roots. You could also expect some changes in the home front over the next seven years that have a profound effect on your sense of purpose and spirituality in general, a cycle in life to remember. Pisces is a sign that likes to swim in many streams all at the same time, and during the month of May you may well feel that you are going in several directions all at once. The planet Uranus moves into your solar 5th house contributing to a major period of creative expression and eccentric insights that can help your career really take flight without you questioning where you are going or what other people think of you.